Day 3 of WNBL in Action! 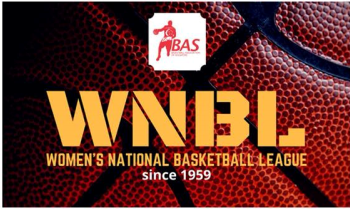 Matchday 3 fixtures of the Women’s National Basketball League 2018 featured between Radin Mas 46-42 Jumpshot and Siglap 39-51 Hillcrest Grays. The first match at 7.30PM was an end to end encounter as both evenly matched teams leading each other by no more than 4 points throughout the periods and at any point in the game. A more physical display by Jumpshot brought them close to winning the match but was ultimately undone by a more precision display from Radin Mas. Top scorers for each team are also evenly matched: Amanda Tang Jia Qi (15, Radin Mas) and Olivia Lee Jia Min (14, Jumpshot). In the later game at 9PM, Hillcrest Grays came out top against Siglap. Top scorer in the match: Loiter Ariel Xiang Ying bagged home 18 points (Hillcrest Grays) and steered her side to victory. Upcoming Matchday 4 on Sunday, 15 April, will feature ADROIT (新加坡圣公文化) BLUE vs Hillcrest Grays (4PM), ADROIT (新加坡圣公文化) RED vs Qian Xi Red (5.30PM), Qian Xi Blue vs Jumpshot (7PM) and Siglap vs Kembangan Chai-Chee (8.30PM). Be sure to check out our website: http://www.bas.org.sg/ for Live Scores, and our Instagram & Facebook page for match photos, preview & results visuals!